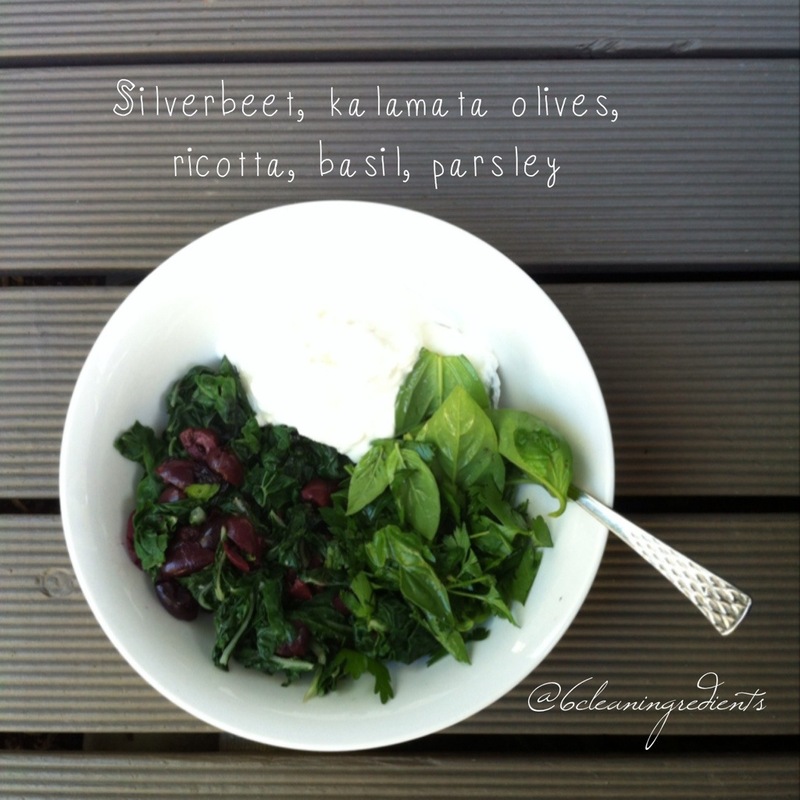 I picked up the gorgeous silverbeet, basil & parsley at Bondi Farmer’s Market on Saturday. 1. 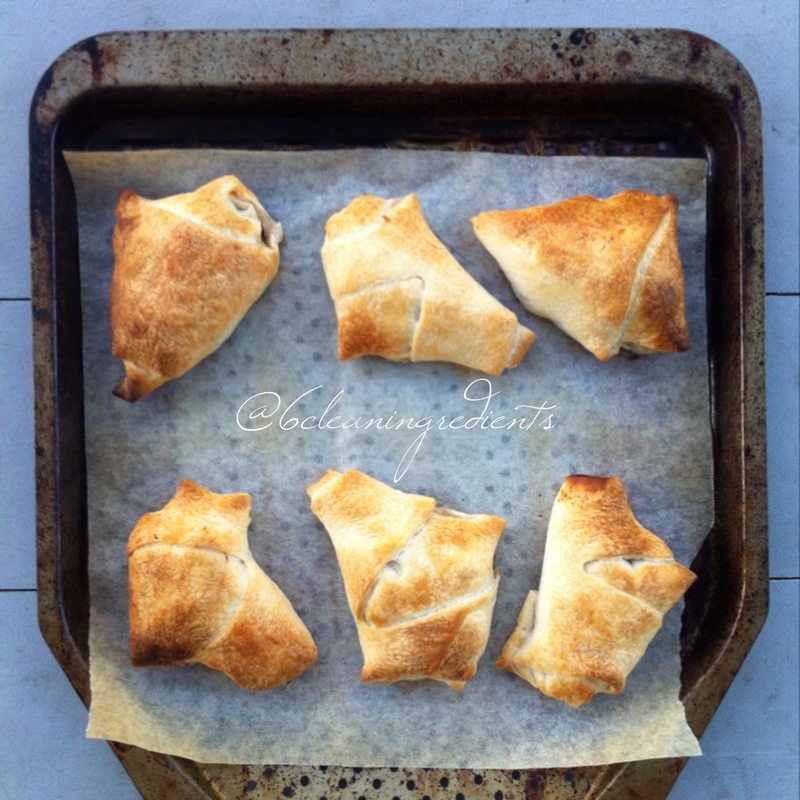 Take pastry from the freezer & let it thaw. 3. Turn on a frying pan – when hot, throw in silverbeet & move constantly for a minute or so until wilted. Remove from heat. 5. Stir up all ingredients (except pastry!) in a bowl. 6. Cut pastry sheets each into 3 equal size pieces lengthways (so they are long, thin & rectangular). 7. Spoon the spinach ricotta mix onto the top left of the pastry piece then told until complete. 8. Throw in the oven for 20 mins at 190 degrees. 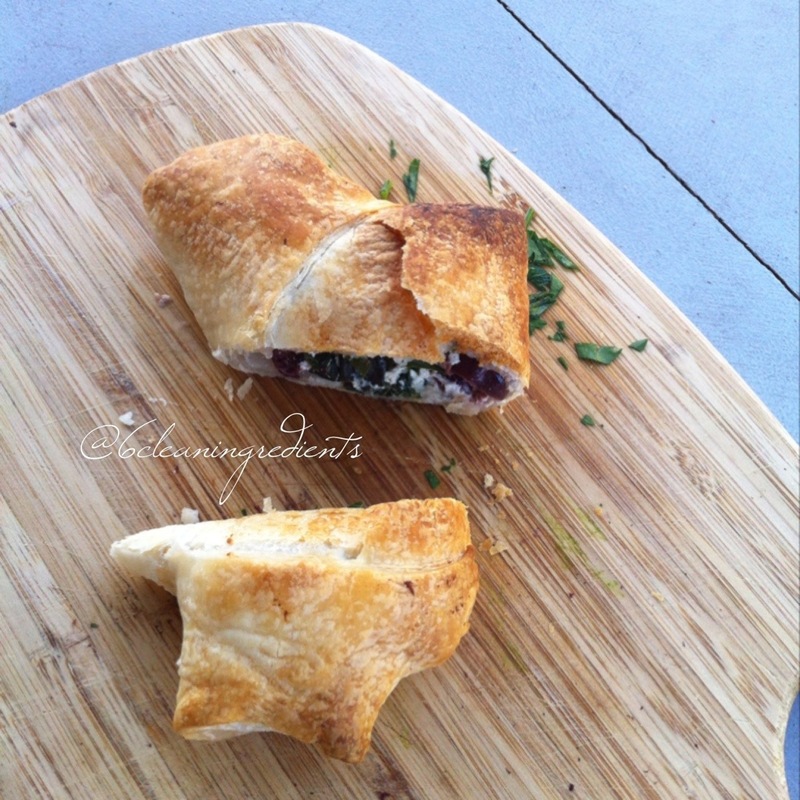 This entry was posted in Recipe and tagged bondifarmersmarket, iqs, olive, pastry, refinedsugarfree, ricotta, silverbeet, vegetarian by 6 Clean Ingredients. Bookmark the permalink.